This post will help you go through a simple but elementary checklist of all the actions that you need to perform prior to installing the Hyper-V role on your Windows Server 2008 R2 machine. Make the necessary BIOS changes. Change the default Host Name. 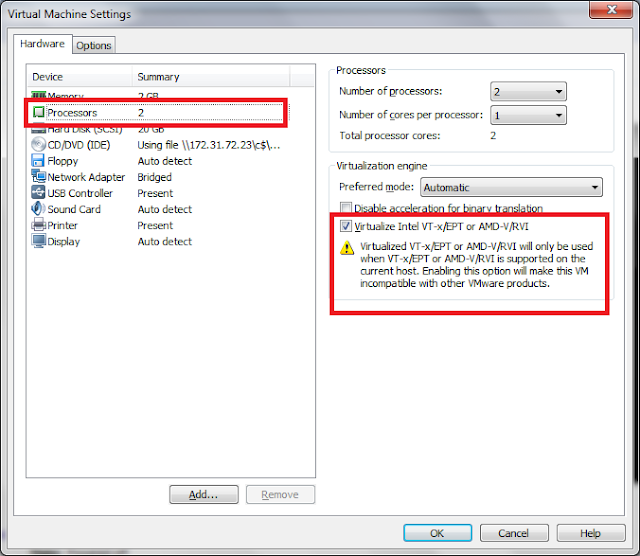 Configure the host's product key and activate it. Change the IP to static addresses. Join the host to a domain. When you're done, continue to my Installing Hyper-V onWindows Server 2008 R2 article. 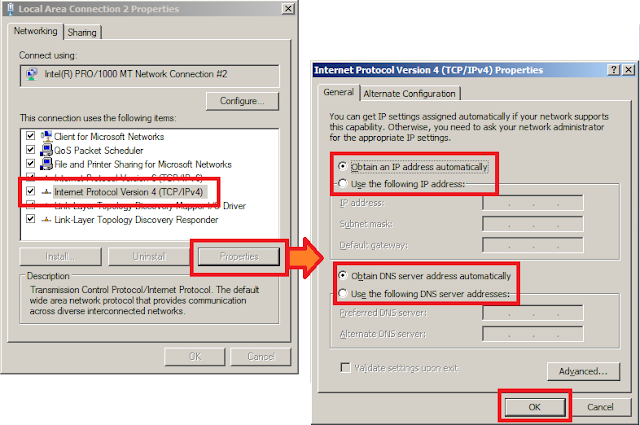 By default, a Windows Server 2008 R2 machine will receive IP address and other settings automatically from a DHCP (if there is one). With these settings, in most cases, it will be possible for you to access the Internet. 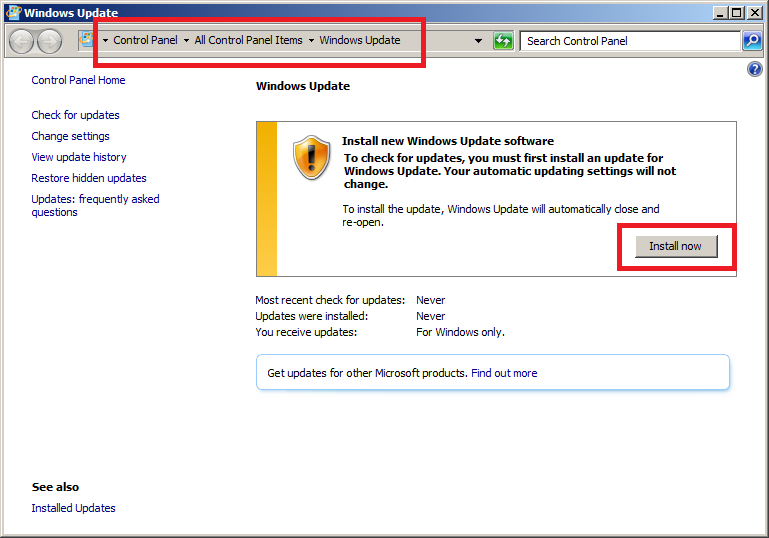 If that is correct, one of your first tasks would need to be installing all critical Windows Updates. This can be done through several methods including the UI and the command line, but in this article I'll describe the most common method - through the UI. On the Start menu - type "Update", then click "Windows Update". You will need to reboot the server once the updates were installed. 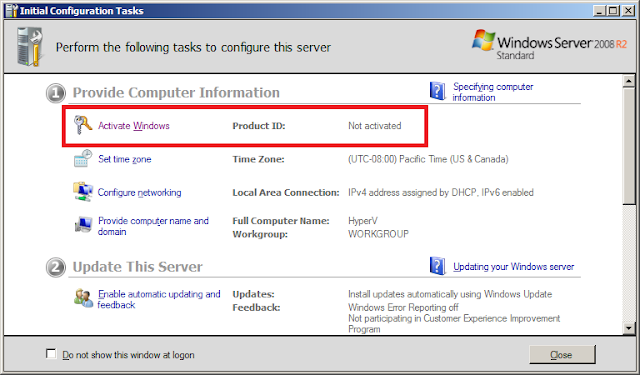 By default, a Windows Server 2008 R2 machine will receive an automatically-generated host name. In most cases, we will want to change this host name to something more meaningful to us. It is possible to change the host name through several methods including the UI and the command line (the NETDOM command), but in this article I'll describe the most common method - through the UI. On the Computer icon - right-click and select "Properties", then click "Change Settings". Enter a descriptive computer name (try to limit it to 15 characters if possible) and click "Ok". You will need to reboot the machine in order to continue. Not required if server will be used for a short-period testing, however, in a production environment, you must activate the server. 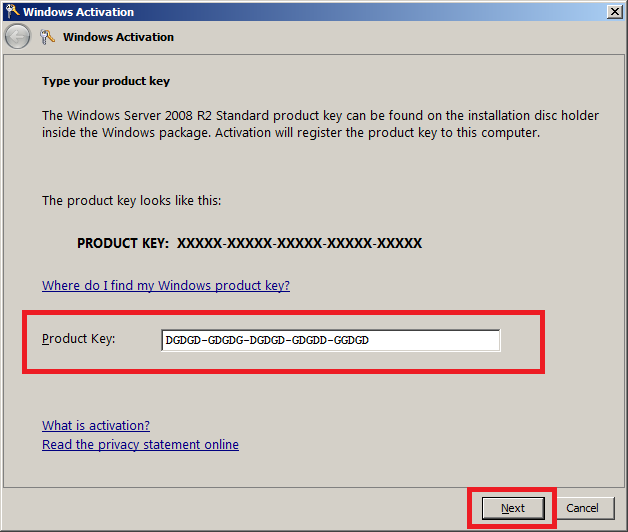 Unlike older OSs, Windows Server 2008 R2 does not ask you for the product key during the setup. You need to provide it after the setup has completed. To enter the product ID you can use the UI or the command line (using SLMGR.VBS command, which is useful for Server Core and remote installations). I will use the UI in this example. 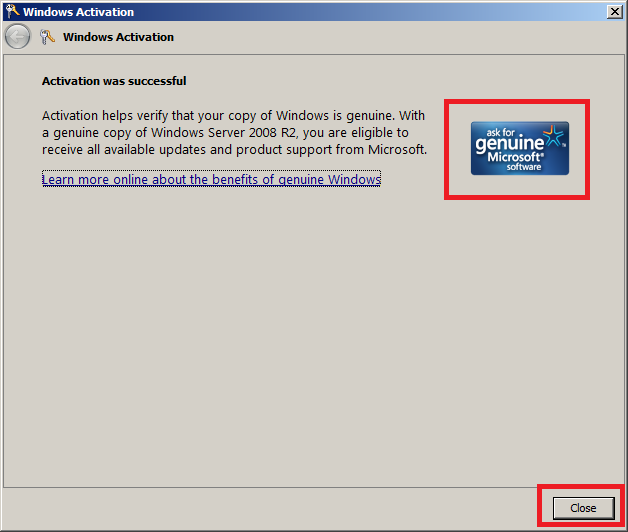 On the Computer icon - right-click and select "Properties", then click "Activate Windows". Enter the correct product key and click on "Next". 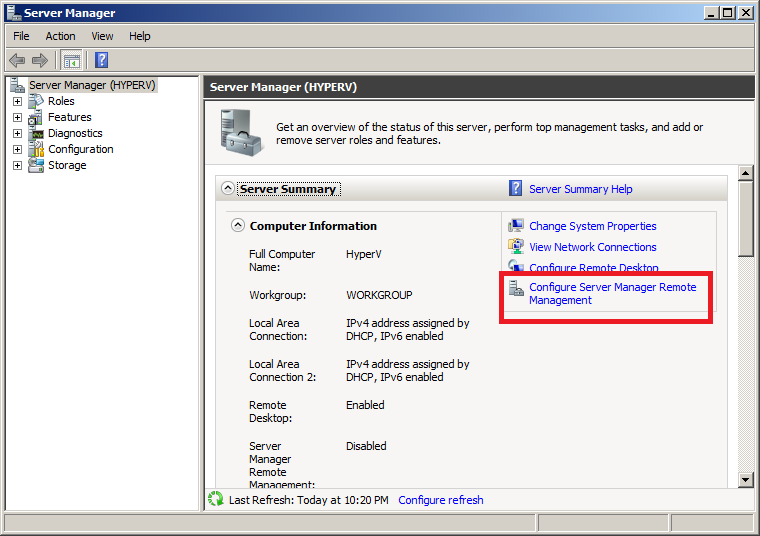 By default, a Windows Server 2008 R2 machine will receive IP address and other settings automatically. To add the server to a domain and to access it remotely you need to properly configure an IP address, Subnet Mask, Default Gateway and DNS Server IP. 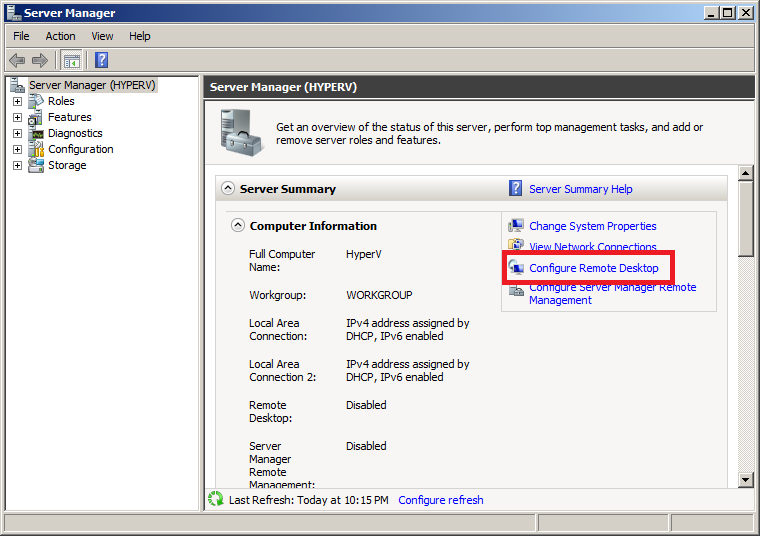 These can be configured through DHCP, but since this is a server, you'd probably want to manually configure them. To do so, you can use the UI or the command line (the NETSH command). I will use the UI in this example. 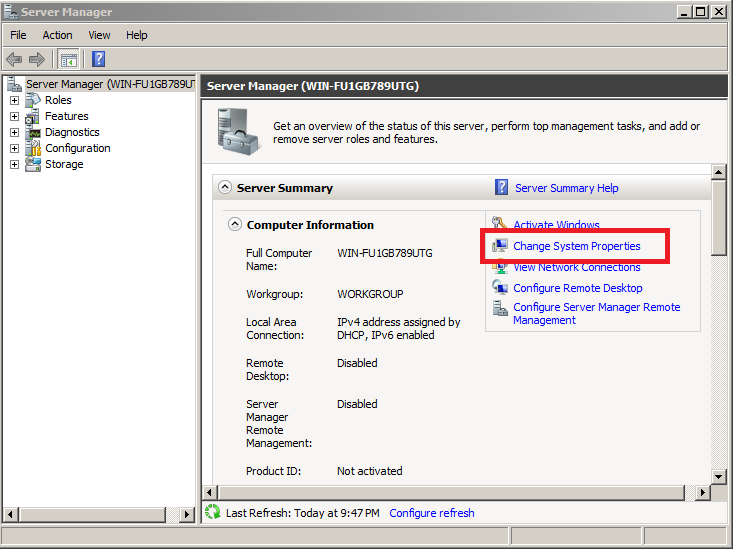 On the tray area - right-click the network icon and select "Open Network and Sharing Center", then click "Change adapter settings". 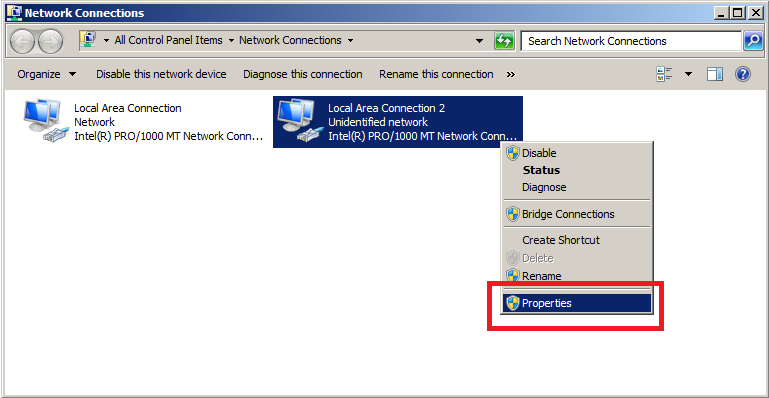 In the Network Connections window, right-click the network adapter(s) that's connected to the network and select "Properties". Click to select "Internet Protocol Version 4 (TCP/IPv4)" and click on "Properties". Type in the assigned IP address, Subnet Mask, Default Gateway, and DNS settings. NOTE: that you will need to make sure you properly configure the host's DNS settings in order to add it to a domain. Once the server has an IP address it's most likely you'll want to continue the configuration work remotely. 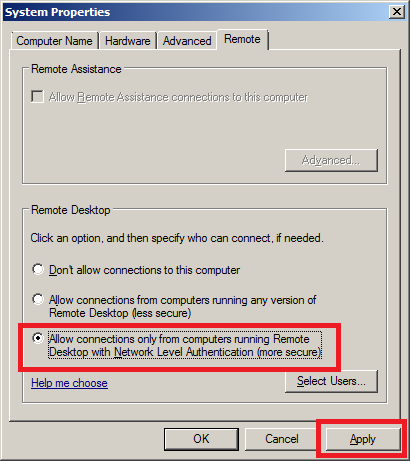 To do so, we need to enable Remote Desktop. On the Computer icon - right-click and select "Properties", then click "Remote Settings". 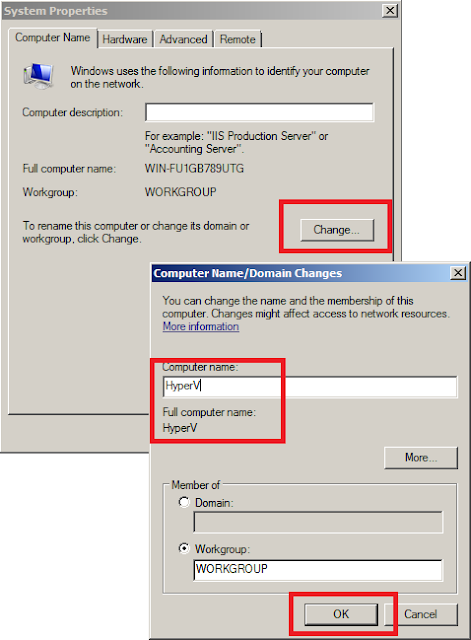 Hyper-V hosts are best managed if they're a member of a domain. Domain membership is also required for other tasks that you might want to perform in the future (such as SCVMM 2008 R2 installation and others). 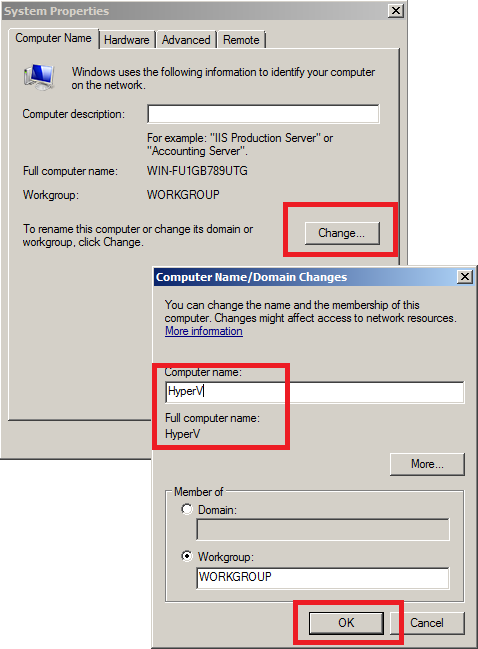 Like name changing, it is possible to add the host to a domain through several methods including the UI and the command line (the NETDOM command), but in this article I'll describe the most common method - through the UI. Enter the domain name and click "Ok". You will be asked to type your user name and password for the domain. Once you are successfully joined to the domain, you will be prompted to restart your computer. You must restart your computer before the changes take effect. 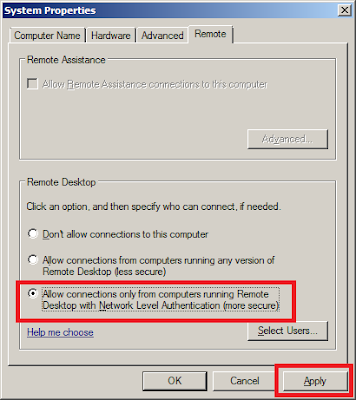 Remote Desktop is ok, but sometimes you do not need a full desktop to make a change or two, and you can use Server Manager or any other type of remote-connection MMC-snap-in (Note that in Windows Server 2008 R2, Server Manager can finally be used remotely). To do so, open Server Manager - Click "Configure Server Manager Remote Management". 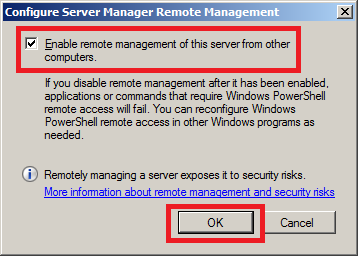 To let this computer to be managed remotely by using Server Manager, select "Enable remote management of this server from other computers". Click "Ok".